It's Block of the Month round-up time! 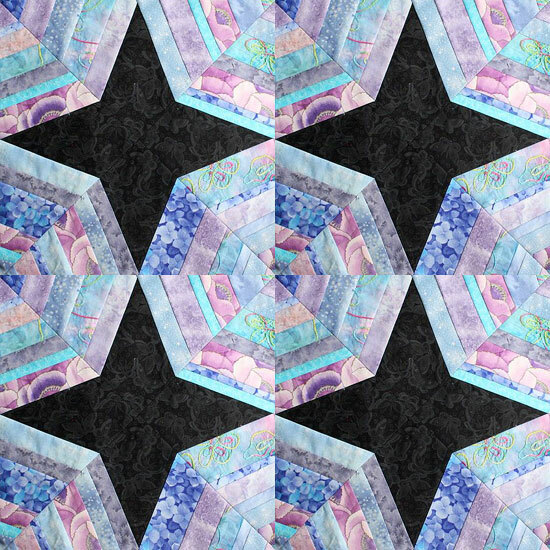 First up, the block for the Blogger's BOM. It's really February's block, but since new blocks are announced late in the month, I just make them the following month. This block looks like February, what with the pink/red/purple thing. 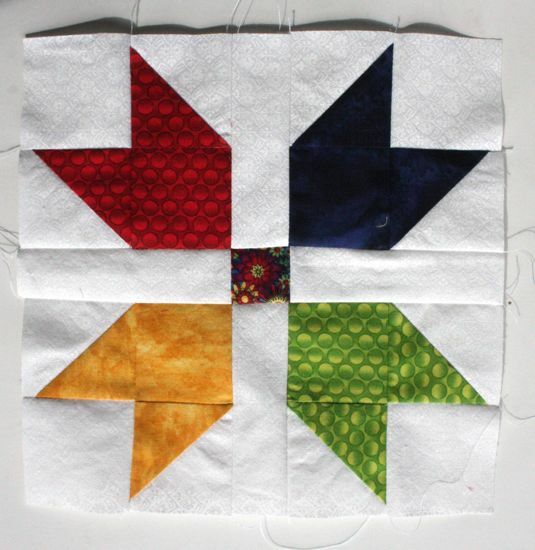 I guess I wasn't thinking things through all the way when I picked out the solids for this block. 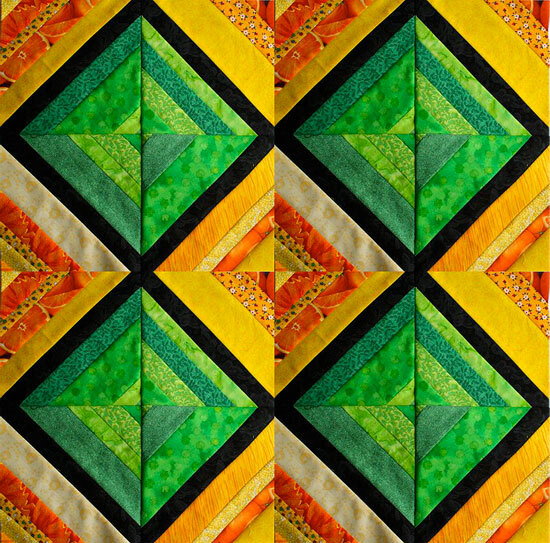 Mostly I wanted to be sure that I wasn't leaning too hard on the yellow, orange, and green I'd used in the last two blocks. I started with blue instead of the pink, but it seemed there wouldn't be any bright spots that way. So, pink. Still, this block makes me happy. Lots of fun to be had with Jeni's HST BOM. And I'm super excited about my plans for putting these together into a full quilt... I'm having a hard time waiting until the blocks are done! String blocks! 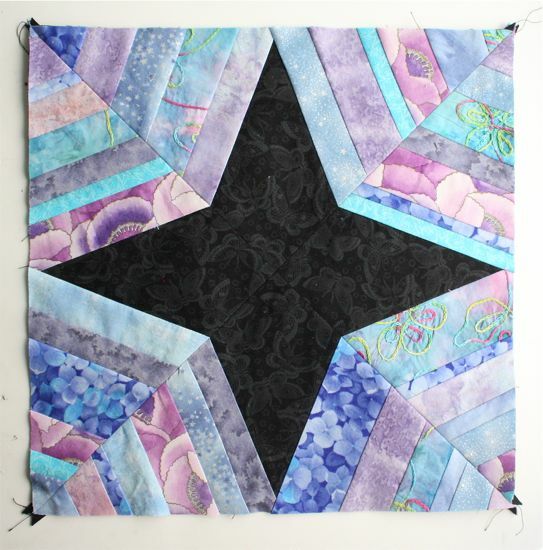 Craftsy's BOM focused on string blocks this month and I'm in love! 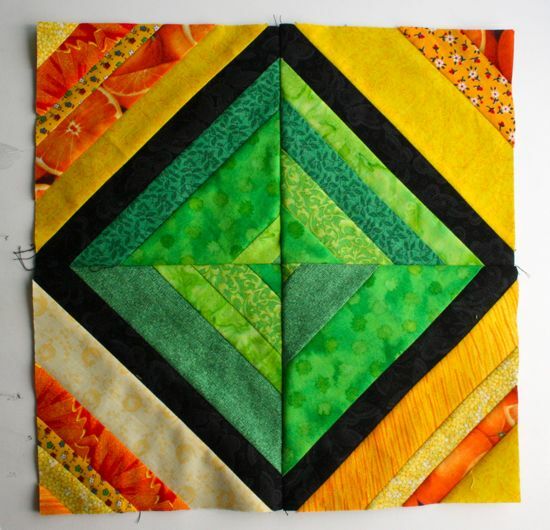 I've been pinning string blocks on my Quilt Inspiration board and now that I know how to do them (how did I not know how to put together a string block before this??? 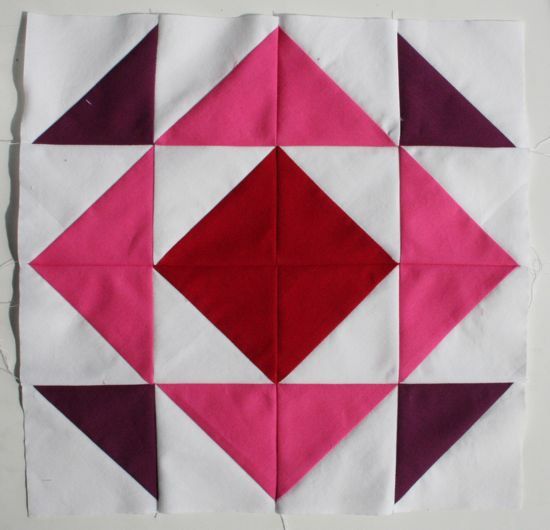 ), all I can think about is string quilts. ... or maybe make each "spider web" a slightly different color. Again, totally possible and cool with random scraps, but so lovely when the colors are limited! Or what if the colors in the "squares" were shifted a bit so the end effect was a spectrum made out of these on-point strings? I bet it'd be pretty, although the planning might make my head explode. Realistically, I'll probably start with a scrappy version. It'll be too late for Stitched in Color's Festival of Scrappiness, but when the pile of skirts and dresses for Caitlyn is finished, I'll have tons of bright scraps to work with.